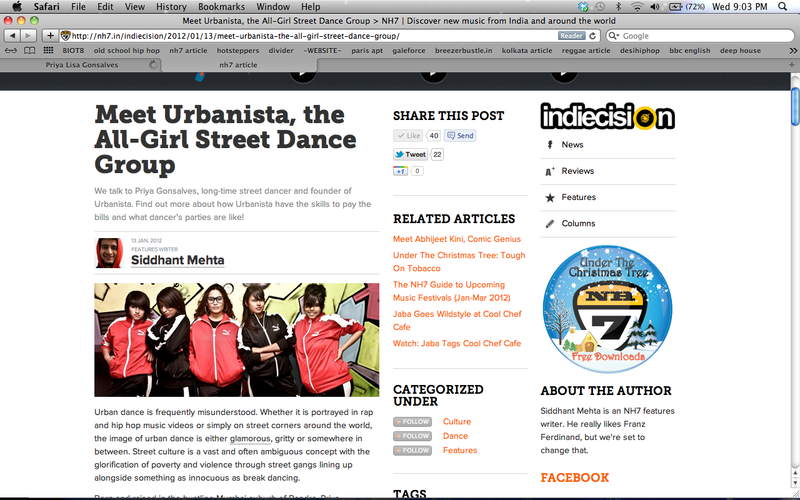 PriyaGoDance: NH7 Article on me. 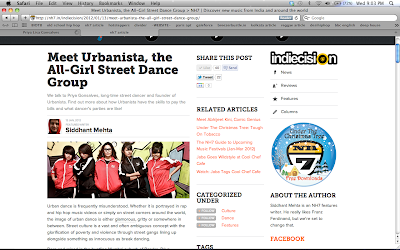 I also got featured in an article on NH7- the website, which is a very popular independant music website. The feature was talking about independant artists who have chosen non conventional careers. I was aksed some questions about myself , Urbanista and my projects. It is by far one of my favourite articles. Well written and represents me accurately. Here is the link to read the entire article.